As the civil aviation industry continues to deal with the threat of terrorist attacks, Roni Tidhar, Head of International Consulting – Security and Safety, Ben-Gurion Airport, Commerce and Business Development Division, Israel Airports Authority (IAA), explores some key factors that every airport director or manager must address and preferably take further action on. Looking back – even over the last couple of years – aside from the major terror attacks carried out against the civil aviation industry, there is clearly renewed focus and attention from global terror organisations (or people that claim to be influenced by their agenda) on attacking civil aviation ‘soft’ targets; primarily airports and in-flight aircraft. We can also see a ‘shift’ from Al-Qaeda’s successful attacks to the current ‘blitz’ of ISIS’ direct or affiliated attacks. Evidently, the cruel competition between terror organisations regarding ‘innovative’ methods of killing civilians and civil aviation staff isn’t likely to end in the near future, so we – the airport managerial sector – must buckle down sooner rather than later. The question of whether an airport should be considered a ‘soft target’ relies not only on existing security measures (which are usually only the minimum that ‘the international regulatory organisations require’), but on the passive acknowledgement of airports’ official position holders and state regulators that their airport will likely be attacked sooner or later. They must realise that personal and professional responsibility commits them to take active steps; at times going beyond the obvious and reaching out to bridge the gap of various jurisdictions and organisations to provide a synergetic solution (custom-made for their own airport). No one has the luxury of ignoring the awful potential of losing human lives on their shift. Am I going to be in charge of the airport results later on? Am I going to be responsible if something goes badly wrong? Am I doing the minimum required by law and international regulation – or trying to surpass that according to my understanding of modern day reality? Which stakeholders are real partners, and how can I convince others to join forces? If I seek good quality/high standard security in my airport it will cost X amount; how can I recruit sufficient resources for that purpose? And in case of a lack of sufficient resources, do I give up or implement alternative solutions? 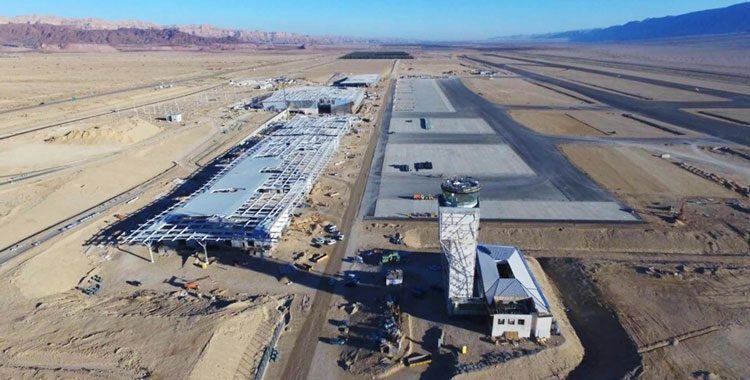 Israel Airports Authority (IAA) is in the final stages of building the new Ramon International Airport – a ‘green airport’ located on the southern tip of Israel and due to be operative in the first half of 2018. When designing the new airport’s multi-layered security infrastructure, we relied on the experience accumulated over the last 40 years at Ben-Gurion International Airport and Israel’s domestic airports. In addition, we utilised the relevant updates and modifications in concept, operative techniques and professional coordination with new partners due to its unique location and more. 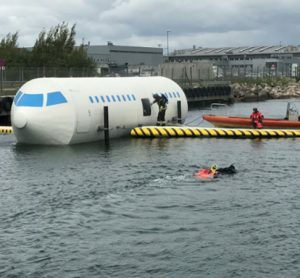 IAA has set up a specific expert team on each subject and formulated new airport procedures to ensure all the knowledge and experience gained is funnelled into the blueprints and the airport’s flow charts. Landside security infrastructure and technologies had been adapted to accommodate the desert terrain and local weather and a brand new custom-made HBS system was designed to fit the airport’s size, capacity and expected passenger diversity as an international leisure and domestic flights prime destination. Simply placing a perimeter fence even with electronic measures and CCTV around only the airside of terminals is not sufficient. To control, detain or stop an approaching person with possible ill intentions prior to terminal doors (and avoiding risk of meeting the attacker indoors or later at the passenger checkpoint or gates area) cannot be achieved by current worldwide most common practice. Deploying that kind of fence-line also around public areas creates ‘bottlenecks’ which should be used to establish relevant security oriented supervision of all entry points to the airport’s public side as well as airside. Vehicle checkpoints are recommended (and from our experience they could be beneficial without creating massive traffic jams at peak hours), but there are other options if an airport’s access curb roads design cannot support it. Foreign terrorist fighter movements, landside attacks, threats posed by insiders and airport staff, and the use of increasingly sophisticated improvised explosive devices, are all significant concerns and our expanding reliance on information technology in all areas of aviation – from navigation to communications to security – exposes us to cyber threats. ICAO Secretary General Mr. Fang Liu at a special UN Counter-Terrorism Committee (CTC) meeting on 7 July 2017. Certainly, deploying qualified security/police personnel in front of every terminal door is not an insurance policy1; however, coordinated efforts – even between different units and organisations manning the different security layers – can synergistically upgrade the efficiency of manpower and deterrence. Moreover, it should cut reaction times for security first responders if they are properly pre-deployed and trained to work as joint effort teams. In order to achieve this level of expertise and coordination, security employees need to be selected and recruited according to their abilities, and trained and certified by relevant instructors based on systematic methodology approved by specific regulators. Quality control should include personal and team drills in multiple scenarios and techniques. Indeed, the ‘inner threat’ risk from employees was allegedly proven founded in some recent attacks2. However, airport employees can be urged, persuaded and even motivated (if directed properly) to participate in a ‘see something – say something’ policy, using their acquaintance with the airport’s routine in order to prevent it from being attacked. 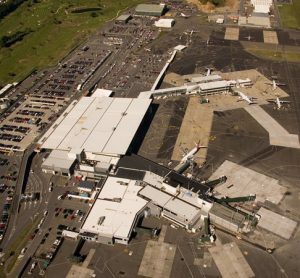 Supervisors and field commanders benefit from reliance on years of experience at the same airport units, yet they improve if they are exposed to other airports’ coping experiences. ‘We are doomed to die proudly in the name of liberty, rights and freedoms’. None of these elements can stand alone in the advanced battle of minds against vicious terrorists, when countered by knowledge gleaned from past experience, wisdom, the ability for self-criticism and constant risk assessment legacy. Being naive is not an option for us. Sun Tzu, ‘The Art of War’, 3rd century B.C. Examples from October 2015 to March 2016 only: the Metro jet bombing, the Daalo Airline bombing attempt, and the possible prior inside introduction of Brussel’s Zaventem Airport by one of the terrorists. Roni Tidhar has worked in security in the Israel Airports Authority for the past 27 years and was Duty Security Manager for Ben-Gurion Airport’s security division (TLV). As a Ground Marshal, Air Marshal and Security Manager (for EL-AL Israeli Airlines), Roni has both local and international experience in security operations and emergency management (also as IDF Colonel, Res.) and has considerable expertise in airport security management (landside and passenger’s security operations, command and control centres, employee recruitment, training, procedures, planning physical elements, budgets, permits, etc.). 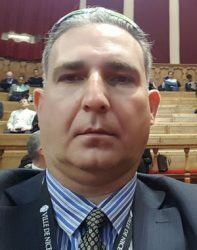 Roni is Head of International Consulting – Security and Safety and leads IAA teams that work with overseas airports, airlines, air authorities and regulators. What I miss in Mr. Tidhar’s article is the very real threat of terrorism from cyber and from within. He should at least highlight that IT infrastructure is just as important as physical infrastructure when it comes down to securing any airport facility. Terrorists no longer need to be present to be able to do damage or hold a facility hostage. The same goes for internal threats, whether from airport, airline, or other support staff, who have access to areas where they can also do damage or hold a facility hostage. Important article, Roni. 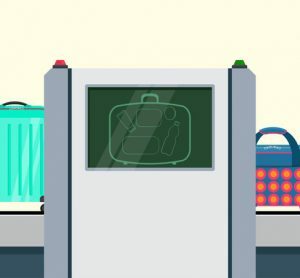 With continued attacks around the world, it’s clear that the airport sector indeed needs to always be thinking about how to improve airport security. 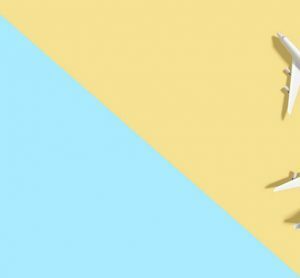 Whether it’s perimeter breaches, weaponized computer laptops, bomb threats, terminal evacuations, rogue employees or active shooters, airport security is in the news weekly. Airports face increasingly complex security concerns, declining security budgets and slow moving government roadmaps to modernize the security infrastructure. In other words, this is a perfect storm for disaster to strike. Both internal and external threats are factors to consider. Although the airport infrastructure is a crucial element in the fight to keep citizens safe, you’re right – simply placing perimeter fencing or CCTV around the terminals is not sufficient. Situation awareness is crucial to airport security teams. They must be able to quickly observe, detect and mitigate a threat. Security can’t respond until they know where response is needed. Even 30 seconds of early warning can change the outcome of an airport attack. But cameras, TSA and police are spread thin; they cannot do it all, alone. One thing often overlooked is the people themselves within an airport. 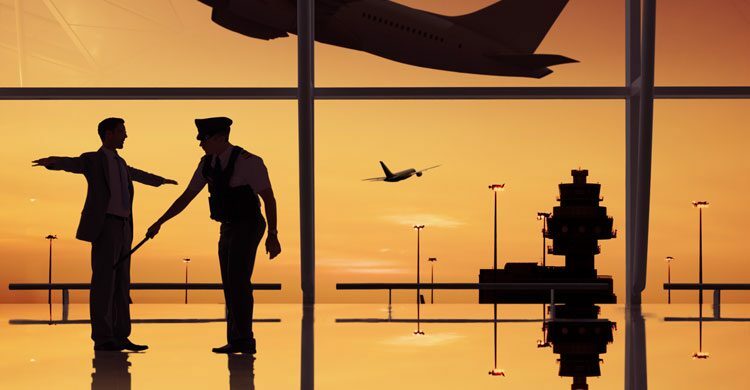 Airport staff and even passengers can prove to be one of the most efficient supports to police and security personnel, reporting what they see in real time. Each day, thousands – sometimes millions – of eyes and ears are seeing and hearing what’s happening at an airport at any given time. These resources can help control, detain or even stop an approaching person intent on bad behavior. You mentioned that airport employees can be urged, persuaded and even motivated (if directed properly) to participate in a ‘see something – say something’ policy but this can be challenging. Sometimes there’s a “snitches get stitches mentality, as it relates to insider threats. For external threats, it isn’t always clear how employees should report what might seem suspicious but is not yet clearly a threat. 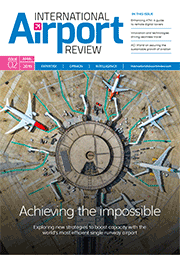 Airport management needs to make it easier to report incidents, threats and even suspicions. The good news is that airports today can easily – and affordably – empower thousands of workers, vendors, drivers and customers to report a security concern discreetly and in real time by using a smartphone app. For example, at ELERTS, our See Say Airport app empowers airport employees, contractors, vendors, drivers and the traveling public to report suspicious activity and other security concerns discreetly within 20 seconds. Airport security teams can be more effective by deploying this type of early-warning tool that improves public safety. Crowd-sourcing enables EVERYONE at an airport to enhance safety. People see and hear things. They can provide advanced warning to police and security that can change outcomes and save lives. Airports need to enable them to do so, and, along with overcoming the excuses you mention, now they can. If you’d ever like to learn more, I’d be happy to talk.